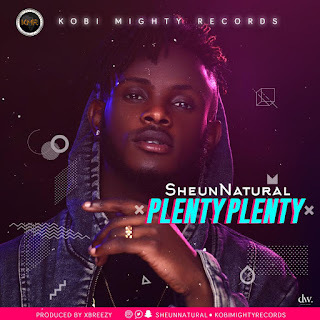 KMR frontline act, Sheun Natural returns with a fresh tune titled “Plenty Plenty”. “Plenty Plenty” is a positive song which has a beautiful blend of RnB, Afrobeat and a unique Funky Fuji infusion. This song brings out the originality in Sheun Natural's sound. It's a song you'll love to listen to again and again. Produced by Breexxy, mixed and mastered by Indomix. Listen, Download and Enjoy!